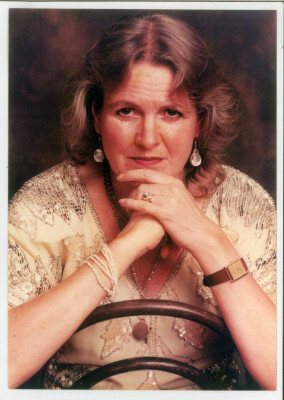 Georgina Mortimer was the co-founder of ABCD with Val Jourdan, MBE and sadly passed away in June last year. Georgina was at the heart of ABCD and very largely responsible for its growth and for its reputation as one of the foremost charities operating successfully in the West Bank. Some years after the launch, ABCD had grown to the point where a part time administrator was required and Georgina, who was giving up her London job, took on the role of Director for the next eight years. Georgina then succeeded Rupert Ridge as Chair of ABCD, a post she held until June last year. Palestinians have a disproportionately high number of children with disability with around 15% of households with someone in this condititon. The rehabilitation for these chldren is often poor or non-existent, particularly now, with UN funding reduced by 65%. ABCD helps provide rehabilitative care for hundreds of such children. ​​Since its inception, ABCD has worked with the Bethlehem Arab Society for Rehabilitation, (BASR) based in Beit Jala. ABCD has been involved and responsible for the opening and equipping of day centres in the Greater Bethlehem Area and Hebron Region. More recently ABCD has established rehabilitation centres in the refugee camps at Jalazone and Nour Shams, North of Ramallah. ​The objective of this Appeal is to raise funds for a permanent memorial to Georgina by providing, at BASR and in both Camps, new and state of the art facilities for the rehabilitation of children. We have exceeded our target of £50,000 and work is underway. ​​Georgina was very much loved by the staff at BASR and in particular by its Director, Edmund Shehadeh and its programme Co-ordinator, Rima Canawati. Georgina was an advocate for the Arts and their role in enriching children's learning experiences, was committed to sourcing various strategies to support children with disabilities and was someone who treasured the outdoors and had a love of nature. For these reasons we would like to add a sensory roof garden to the new children's ward currently under construction at the BASR hospital in Beit Jala. The estimated cost is £20,000. Here are some illustrations of a sensory garden. 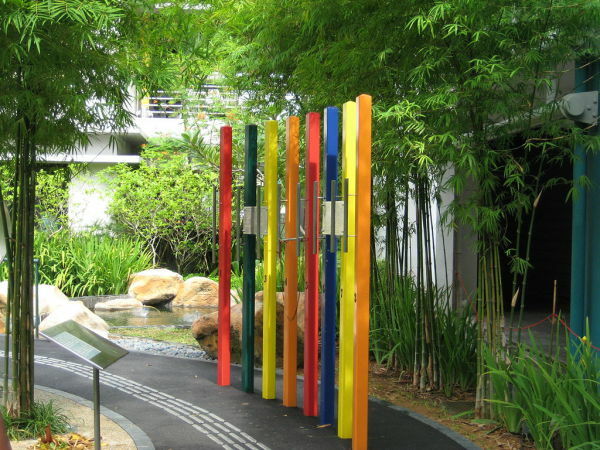 ​Sensory Gardens are designed to develop and stimulate children's senses; togive them improved cognitive develeopment and physical confidence. 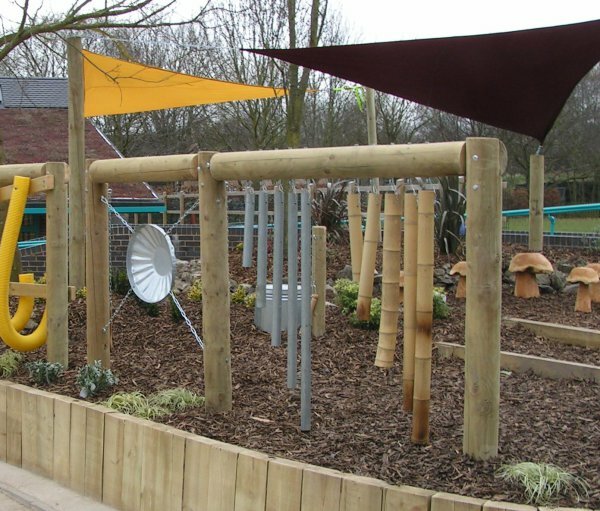 They can be a secret haven with endless exploration for children with disabilities, to include sensory planting, water play, usic and sand play. It would be a valuable addition to the facitlities at Beit Jala which acts as the centre for the treatment of disabled children from the outreach centres. ​In 2014, ABCD established centresin both of the Camps to provide holistic rehabilition to children. We would now like to provide a Sensory Room in each cap fitted iwth an interactive floor, interactive fibre optics, lights and music, a bubbles tube, a tactile panel, ball pools and an interactive sound and image system. Illustrations of some of the features are shown here. ​Sensory rooms boost therehabilitaiton process improving visual and sensory communication through special lighting, music and interactive objects. ​They are also used very successfully for relaxation and stressrelief. Sensory rooms are designed on a scientific basis to isolate external distractionsand rebuild the mind of the child. ​be refreshed from time to time. Budget cost for each camp is £15,000. Total cost: £30,000. ​​​​We set the appeal target at £50,000 to allow all three projects to be completed to the required standard. ​The committee tasked withthis project is Martin Jourdan (Chair), husband of Val Jourdan, Andrew Mortimer and Dr Amy Mortimer, husband and daughter of Georgina, and Firas Sarhan, Anthony Glaister and Jane Lavers, Trustees of ABCD.